Could this be Dombrowski’s final year as Tigers GM? The Tigers have 410 victories since the start of 2011 under Dave Dombrowski's leadership. Some of the recent discussion surrounding the Detroit Tigers has focused on their pending free agents, including David Price, Yoenis Cespedes, Joakim Soria, and Alfredo Simon. One name that could be added to that list: Dave Dombrowski, the club’s president and general manager for 14 seasons. Dombrowski’s contract expires at the end of October, and on Friday he declined to speak about his status when contacted by FOX Sports. 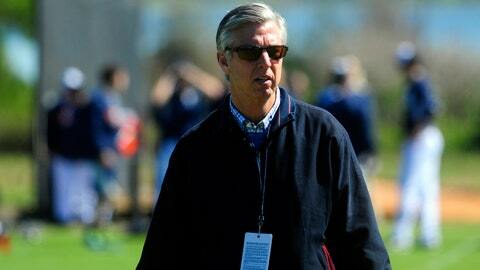 However, major-league sources say there’s been no recent progress toward an extension for Dombrowski. 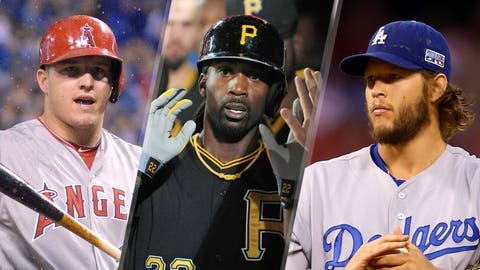 ● Angels general manager: Following the recent discord between the front office and manager Mike Scioscia, one key attribute for the next GM in Anaheim is an ability to coexist with a strong personality in the dugout. Dombrowski enjoyed a productive relationship with the old-school Jim Leyland in Florida and Detroit, winning one World Series and three league pennants. ● Blue Jays president: Dombrowski has ties to Canada, having served as general manager of the Montreal Expos early in his career. He also interviewed for the Blue Jays’ GM vacancy in the fall of 2001 before accepting the job as Tigers president. Now that Rogers Communications Inc. – which owns the Blue Jays – has hired Rick Brace as the new president of its media division, Rogers can move forward with the process of identifying a successor to outgoing Blue Jays president Paul Beeston. By virtue of his dual role as president and GM, Dombrowski, who turns 59 later this month, is credited with a large share of the Tigers’ business and baseball success over the past decade. The Tigers have drawn at least 30,000 fans per home game in each of the past 10 seasons, which happened only twice in franchise history prior to 2006. On the field, the Tigers’ 410 victories since the start of the 2011 season are the most in the American League and second only to the St. Louis Cardinals in the majors. The Tigers are the only MLB team to win its division in each of the past four years.